XANGO® is unique! We harvest the whole mangosteen fruit and put its incredible power into an indescribable delicious beverage. Just try and tast it! Order XANGO® Juice! But how much? Are you planning to use XANGO Juice and do you have a specific reason for that? Keep in mind that the body must be "charged". Try to take XANGO Juice with each meal. This is not only an excellent distribution but the active substances will, together with your food, be better absorbed! Therefore, order at least one box of XANGO Juice and give it a chance for at least 90 days. Do you want to know how much XANGO Juice you need? Contact me for a non committal advice! tailored to your personal situation! Your XANGO order comes in a handy box with four, wonderfully formed glass bottles. Each bottle contains 750ml XANGO Juice. On the box and on the bottom of each bottle, you can find the shelf life. An open bottle needs to be kept in the refrigerator and shake the bottle well before use. The purée of the entire mangosteenfruit must be well mixed with the juice. TIPS: After shaking well, turn the bottle upside-down, when nothing sticks to the bottom of the bottle, it is well mixed. Take XANGO preferably during meals. The fat cells in the food take care of the transport and a good absorption of the xanthones and other food nutrients. XANGO Singles come in a box containing three wonderful display packs that you can expand and display as an invitation. Each pack contains 30 pieces of each 30ml. The shelf life is on the back of each single. Keeping refrigerated is good but not necessarily, because you most likely will drink each single at once. The singles are not re-sealeble, because 30ml is the minimum recommended use! TIP: Make sure that you always have a few singles with you because, if you are visiting friends and you are offered a cup of tea, you can create a delightful cup of tea with just one single. Watch the response of your company. This way, you can, where appropriate, introduce XANGO to others! Your order comes right at home! Your order is sent to you by postal mail. Make sure that you are home, or your neighbors in case of your absence, because you need to sign for acceptance. You have paid for it! The postman should not just leave your order at the front door. Therefore, if no-one can take your order, it will be presented at a later time once again, or a note will be left in your letterbox, which will tell you where you can retrieve the order yourself! Of course, you can also retrieve the order at our address in Hoofddorp or Antwerp, but you need to give us a call first for our “home stock” is limited. The best and most reliable way to order is trough our order-form. You know immediately how much it costs and we know where and to whom the order should be send! No mistakes in addressing or what you would like to order. You specify us with the quantity and your address, no errors are made! But if you prefer to order by phone, then, of course, we will also take your order! You already received XANGO through us and you are enthusiastic about our product? Your XANGO inventory is on and you consider a new order? Then consider to become our regular customer. It remains non-committal because you are not required to purchase. But if you are satisfied using the XANGO Juice and you don’t want to stop using, we provide with fixed customer advantage! If you want to know how; please contact us using the button below “Email us” and we will contact you as soon as possible! 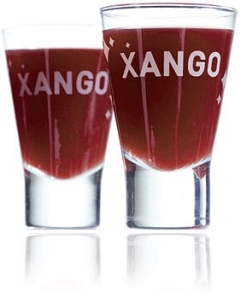 XANGO and www.drink4health.nl do not make any health claims about its product. This is a natural fruit juice, containing the entire Mangosteen fruit.